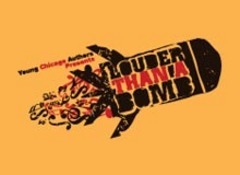 Chicago Public Radio is pleased to distribute the 2008 collection of Louder Than a Bomb Teen Poetry Festival and Competition studio recordings (LTAB2008), just in time for National Poetry Month. For the fourth year, the station invited competition finalists in-studio from this nationally-renowned teen poetry slam, hosted by Young Chicago Authors. Each piece included in the series is a titled performance piece. Without introduction, a template for host-introduction is offered here (under ?for stations?). Over the past few years, over twenty pieces from previous collections have broadcast on stations across the country, including Chicago Public Radio (WBEZ 91.5 FM). LTAB2008 pieces work well aired independently (perfect for filling a few minutes of time after a thematically-related piece or interview) or as a series in locally produced programming that is looking to add a youth perspective. This is debut series. The Young Chicago Authors? Louder Than a Bomb teen poetry slam is now in it's eighth year, bringing poets ages 13-19 years-old together in a safe space that emphasizes community building, education, and youth empowerment. By carrying on the rich tradition of oral storytelling and the spoken word, the 2008 Louder Than a Bomb Teen Poetry Festival and Competition engaged over 400 young writers representing 46 schools and community organizations. The four teams that were invited to the final round, each presenting one group piece and four individual pieces, along with all six indy poets who completed in the final round are presented here.